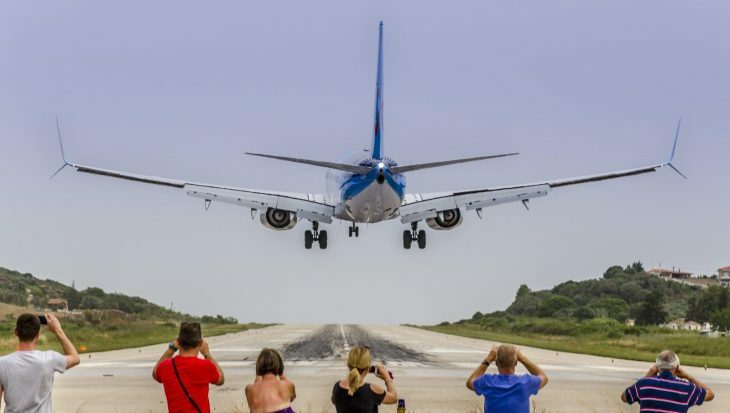 Planespotting in St. Maarten & Skiathos. I know it has been a lot of aviation on this blog lately, but I have 2 videoclips that just has to be shared! One is from the classic spotting location Maho Beach in St. Maarten and the other is from the upcoming spotting location on Skiathos. Both locations are famous for their low approaches and Skiathos is said to be one of the shortest runways in Europe. Princess Juliana Airport is probably one of the most famous airports for plane spotters and often featured in media with its low approach, just above a nice beach. The airport has scheduled flights with Boeing 747-400 and Airbus A340. The IATA airport code is SXM which might make it a little easier to find when you are booking your trip there. Click here for a list of abbreviations and acronyms. For more information about Princess Juliana Airport as a spotting location, please visit spotterswiki.com. For great shots of low approaches at Maho Beach please see http://www.boredpanda.com/maho-beach-plane-landing/..
Edit 2016-11-02: Last KLM Boeing 747 took of from St Maarten end of last week. Info and great pictures on Daily Mail. However, it is still a great place for spotting! This 5341 feet runway at Alexandros Papadiamantis Airport is considered as the “second St. Maarten” with spectacular, low approach and a narrow and curved runway. Pilots flying in to Skiathos have to undergo special training and landings may only be performed by captains which means that if the captain turns ill during the flight destined for Skiathos airport, it has to be diverted to a nearby airport. Due to its very short runway you cannot expect to see any larger aircraft than Boeing 757-200. IATA airport code is JSI which is good to know when planning the trip to this otherwise tranquil island. Unfortunately, I have not been able to find any solid information on Skiathos from a spotting perspective but regular Wikipedia.org is quite helpful. You might want to check my article about airlines blacklisted in the EU before going spotting. I hope you enjoyed these videos and the brief information on planespotting in St. Maarten & Skiathos. Your own tips are welcome on on Twitter, on Facebook or in the comments below. Condé Nast Traveller´s ”Top 100 Hotels & Resorts Readers Choice” is here!